My sense is the [Indian] central bank doesn't have a monetary policy that will lead to a significant drop in inflation. The interest rates probably in real terms are still very low, and over the time, the pattern of the rupee has been weak. It's so that capital has flown into India, but equally, a lot of capital has flown out of India. 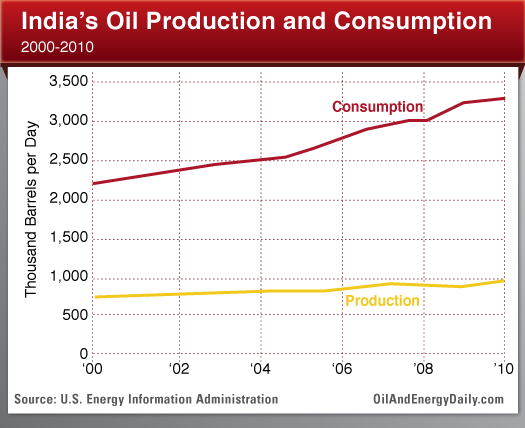 For India, oil is a very important commodity and I think oil prices will go up, which will be negative for India. This may come as a surprise to you that global oil stocks may perform strongly. There are supply issues particularly with global agriculture commodity. I think agriculture commodity will continue to rebound, which will have an impact on India and also on its inflation rate.